As the spring show season nears, I greet it with a great sense of optimism tempered only by memories of last year’s devastating outbreak of EHV-1 at the Ogden cutting show that caused so much disruption of horse events as well at the loss of some phenomenal equine athletes. While enduring that outbreak I found myself hoping that some good would come out of it–that it would raise awareness in general of the risk of infectious disease that exists any time that you mix horses in a stressful situation. I hoped that people learned that common sense and some basic biosecurity are the best defenses against having another serious outbreak. Infectious disease will always exist in the equine population, and EHV-1 is not the only foe that we need to be cautious of–Influenza, strangles (Strep. equi), and EVA can have huge economic ramifications even if they do not have the high mortality experienced with the EHV-1 outbreak last year. EHV-1 is not gone–there are still clusters of cases being reported in California and elsewhere. Once a horse becomes infected with the virus they carry it for life and can start to shed it again when they become stressed—so we need to continue to remain vigilant. • Bring your own water buckets and feed bags. • When you fill your buckets do not dip the hose in the water. • Do not tie your horse where it will have nose-to-nose contact with other horses. • Do not pet another horse and then your horse without washing your hands. • Sharing tack is an easy way to spread disease-both respiratory disease and skin disease. • If a horse becomes sick-isolate it from the other horses at the show as quickly as possible. Feed and care for this horse after you have attended to your other animals. Wearing gloves or washing your hands carefully after handling the horse is a MINIMAL precaution–wearing a barrier gown or separate clothes when working with this horse is preferable. Use separate equipment to clean the stall or disinfect the equipment after cleaning the sick horses stall. Do not use water buckets or tack from the sick horse for any other horses without cleaning and disinfecting them. • When possible use stalls with good ventilation that are set away from areas of high horse traffic. • Your horse has a fever (over 101.5 degrees F). • Your horse has any nasal discharge-particularly if it is thick or discolored. • Your horse has a cough. • Your horse has diarrhea. • Your horse has any swollen lymph nodes-usually under their jaw. • Your horse is more lethargic than normal. • Your horse is not eating normally. 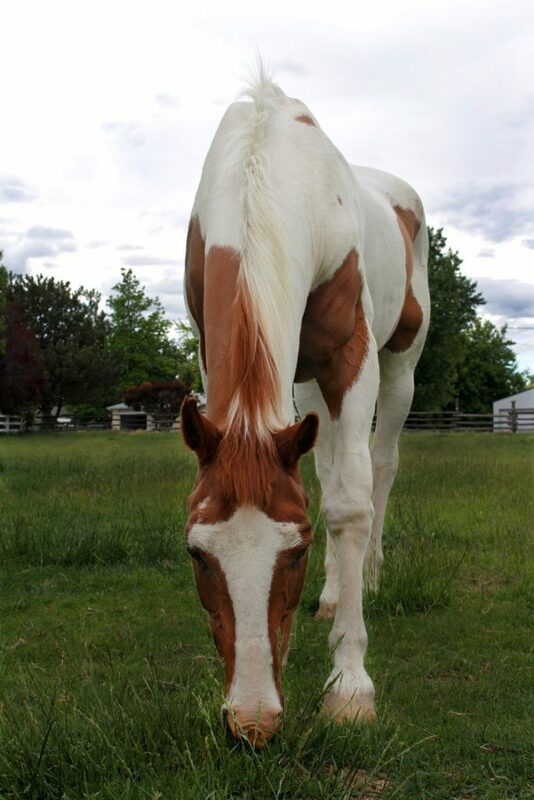 • Your horse is not urinating normally-either not urinating or dribbling urine. • Your horse is uncoordinated in any way. I believe that the events in Ogden were a wake-up call to horse owners everywhere. I do believe that the shows must go on and we should not live in terror-but that we should move on a little wiser and more vigilant, for if we do that the horses we lost will not have died in vain.